Home » Blogs » Has the Recent Economic Boom Offset 88% of the Cost of the Tax Cut? In a Wall Street Journal op-ed shared by the House Ways and Means Committee, Mike Solon of US Policy Metrics makes the argument that thanks to recent good economic news, "CBO now projects that additional revenue from this economic surge will offset 88.2% of the estimated 10-year cost of the tax cut" enacted at the end of 2017. This claim is largely false and also lacks context. CBO actually estimates that economic improvements since the President took office will counteract 39 percent of the cost of the tax cuts through 2027. Furthermore, CBO estimates the economic impact of the tax cuts themselves will cover only 17 percent of the conventional cost. Solon's calculation fails to take into account CBO's own cost estimate of the tax cuts, excludes the interest cost of those tax cuts, and ignores spending increases that come from stronger economic performance. It also includes growth effects that have nothing to do with the tax cuts, including some that were estimated before the cuts were enacted. Solon's 88 percent estimate comes from taking CBO's upward revisions of its 2018-2027 revenue estimates attributable to economic changes since January 2017 ($1.28 trillion) and dividing by the Joint Committee on Taxation's (JCT) initial estimate of the primary (non-interest) cost of the 2017 tax cuts ($1.46 trillion). * While this math may seem sensible, it creates a misleading and inaccurate picture. In addition, Solon fails to capture the full cost of the tax cuts because he doesn't account for the additional interest spending that would accompany debt-financed tax cuts. CBO estimates that with interest, the tax cuts will cost $2.29 trillion* through 2027 – meaning additional revenue from growth will only equal 56 percent of the total. Finally, Solon's numbers create a misleading picture by only looking at the revenue effect of faster growth – a stronger economy is also likely to lead to higher spending, particularly on interest. In total, CBO estimates economic changes since January 2017 will reduce deficits by less than $900 billion when spending effects are included. Adding this all together, the economic surge since President Trump took office will only equal 39 percent of the cost of the tax cuts – not 88 percent. Sources: CRFB calculations based on CBO June 2017 baseline economic changes, CBO April 2018 baseline economic changes and tax bill effects, and original CBO score of tax bill. *Most significantly, CBO's projections show faster growth leading to higher interest rates and thus an increase in overall interest (debt service) payments. +CRFB estimate; CBO does not disaggregate debt service savings from overall interest effect. Importantly, even this 39 percent is the total projected economic improvement since President Trump took office – not the economic impact of the tax cuts. CBO estimates the tax cuts themselves will generate about $400 billion of economic feedback, enough to cover about 17 percent of their costs through 2027. Through 2028, that number rises to 20 percent. While it is true that improvements in projected economic growth will offset some of the revenue loss of the tax cuts over the coming decade, CBO does not believe it will provide nearly enough boost to offset the tax cuts themselves. 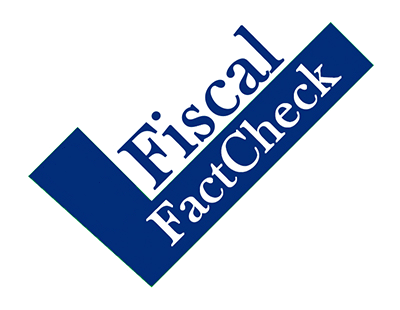 Moreover, the fiscal situation is unsustainable even absent the cost of the tax cuts – a partially paid-for tax cut still worsens the fiscal situation. A complete apples-to-apples comparison using the most up-to-date data shows that economic growth since President Trump took office will equal less than 40 percent of the cost of the tax cuts under CBO's estimates, and the tax cuts themselves will only self-finance a projected 17 percent of their costs. *Note: The cost of the tax cuts refers to the conventional – sometimes known as "static" – estimates of the tax cuts, excluding economic feedback. Economic feedback, which CBO estimates will total about $400 billion, is included as part of the effects of revenue improvement due to economic feedback. Note (8/2/2018): Since publication, the table has been modified to include a comparison of the total effects of higher revenue with debt service to the conventional cost of the tax bill with debt service.